Heat oven to 350°F. Let dough stand at room temperature 10 minutes to soften. 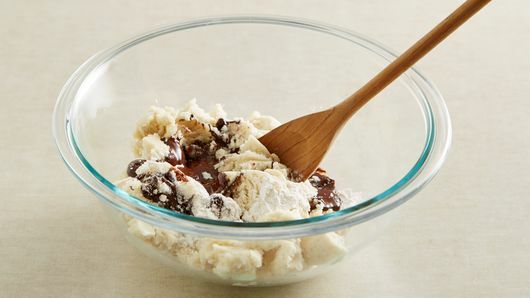 In large bowl, break up cookie dough. Add cooled chocolate and flour; stir with spoon or hands until well blended. Shape dough into 36 (1 1/4-inch) balls. Roll balls in sugar. Place balls 1 inch apart on ungreased cookie sheet. Bake 7 to 9 minutes or until edges are set. 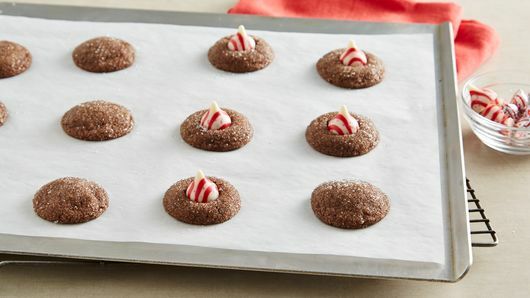 Immediately top each cookie with 1 candy, pressing down firmly so cookie cracks around edges. 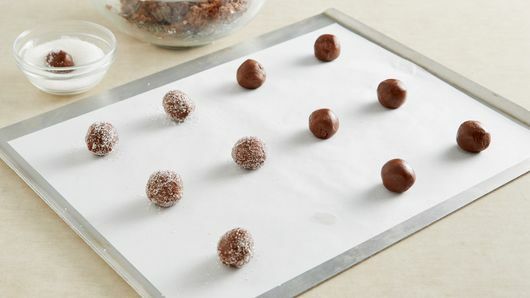 Cool 2 minutes; remove from cookie sheets to cooling racks. Cool completely, about 30 minutes. Sweet baking chocolate is the same as German baking chocolate. For added sparkle, substitute 1/3 cup coarse sugar for the sugar. 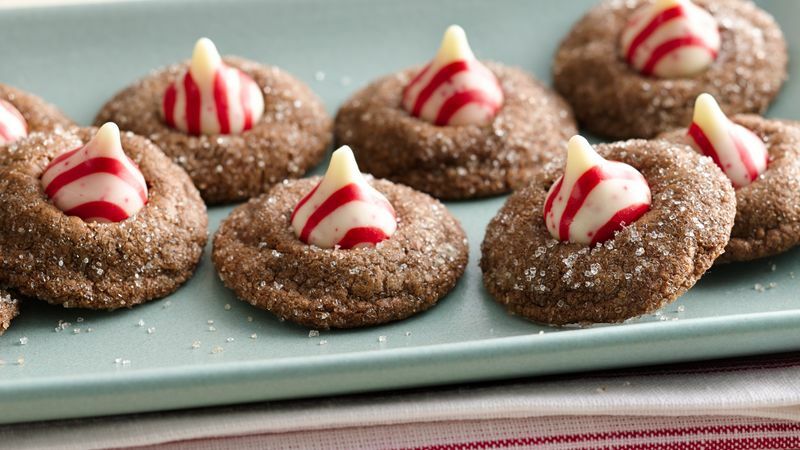 For even more peppermint flavor, add 1/4 teaspoon peppermint extract to dough.